Family and friends of Rasul "Rocky" Clark, along with State Senator Napoleon Harris, gathered for a ceremony in Robbins Saturday afternoon. 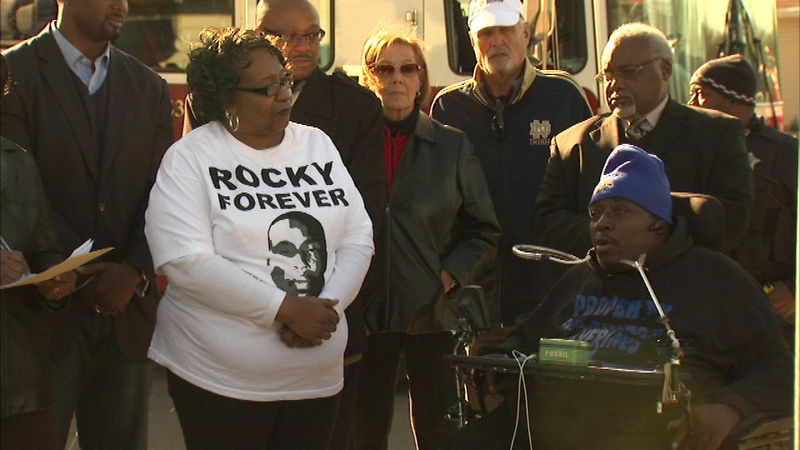 ROBBINS, Ill. (WLS) -- The memory of a paralyzed high school football player who died three years ago will live on in a south suburban street dedicated in his name. "Rocky" was left paralyzed in a high school football game in 2000.